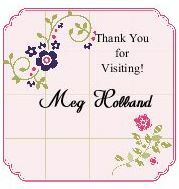 Here is a quick and easy card to share with you today. 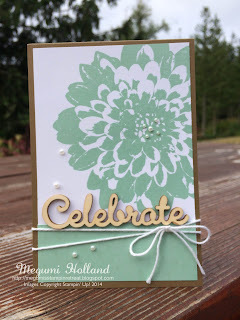 I love the new Definitely Dahlia Background Stamp! So pretty!!! 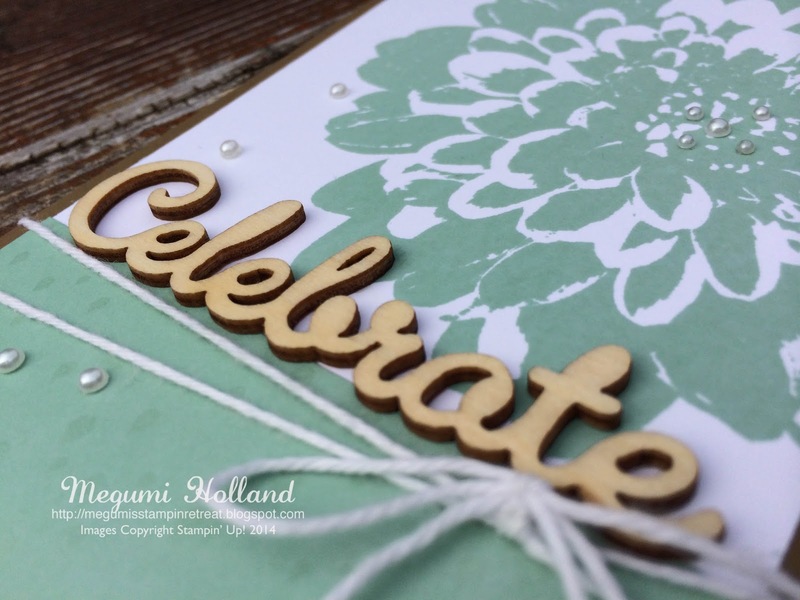 How about the 3D wood veneer sentiment? It is called Expressions Natural Elements and you can find them in the new catalog (see page 160). It comes with 15 pieces, 5 each of 3 designs (Celebrate, Thanks and Congrats). Love it!!! Soft Suede (card base) - 3 3/4" x 11", scored at 5 1/2"
Whisper White - 3 1/2" x 4"
Color Me Irresistible DSP - 3 1/2" x 1 1/4"